If nothing else, Americans know two true things about Mexico. One is that a vast number of Mexicans have immigrated to the United States without authorization, and the other is that illegal drug-related violence has spiraled out of control in that country in recent years. But knowing about a situation and effectively addressing it are two different matters, and it is U.S. actions, based upon emotion, based upon serious misunderstandings, that lie at the core of these problems. For progress to come to Mexico on these issues, policies will first have to change in the U.S.
Border issues and the war on illegal drugs are very real challenges for Mexico, but President Enrique Peña Nieto (2012 – present) has chosen instead to focus his energy on pushing through a raft of born-again free-market economic changes, at least when he is not otherwise preoccupied in battling corruption charges against his family. Peña Nieto has done rather little about immigration, and his policy on violence seems to be wishing it would stop, or at least that people would stop talking about it. Still, if the Peña Nieto has failed to effectively address these issues, part of the reason is that these problems are not solely of Mexico’s own making. In fact, it would be fair to say that it is U.S. policies that have most contributed to these challenges for Mexico. With both pressing matters, immigration and illegal drugs, the U.S. has advanced what amounts to muscle-bound, military solutions that carry with them little prospect for success. These efforts range from beefing up the Border Patrol to pushing for a more aggressive assault on the illegal drug trafficking organizations. 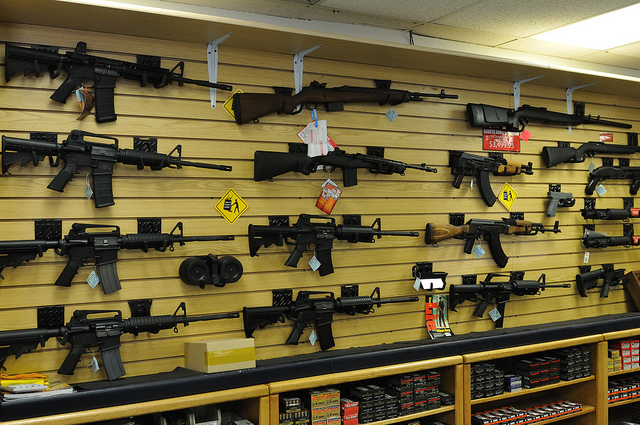 Meanwhile, pro-gun laws in the U.S. have led to a steady flow of high-powered arms into Mexico. The arrival of so many weapons of war have turned much of Mexico’s northern frontier into a multi-sided war zone, with the government fighting the cartels, cartels fighting cartels, and cartels killing anyone and everyone in their way. 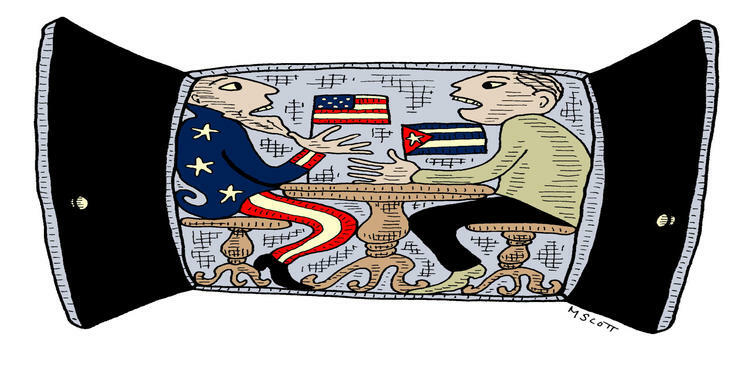 The problem is not that U.S. has failed to commit enough resources to pushing its proposed solutions through to victory. Indeed, if the U.S. decided to vastly deepen its financial support for its currents policies, the status quo could get considerably worse for Mexico. The problem is that the solutions the U.S. is perusing cannot possibly work. True, in the end of the day it is up to Mexico to own its problems, but for things to begin to get better for Mexico, the U.S. will need to turn away from unreasoned, emotional, chest thumping policies—man up, get a gun, seal the border, smash the cartels–to reasoned ones–sane gun control, fair immigration policies, and the encouragement of a harm reduction approach in dealing with illegal drugs and the cartels. What Does Reasonable Immigration Reform Look Like? 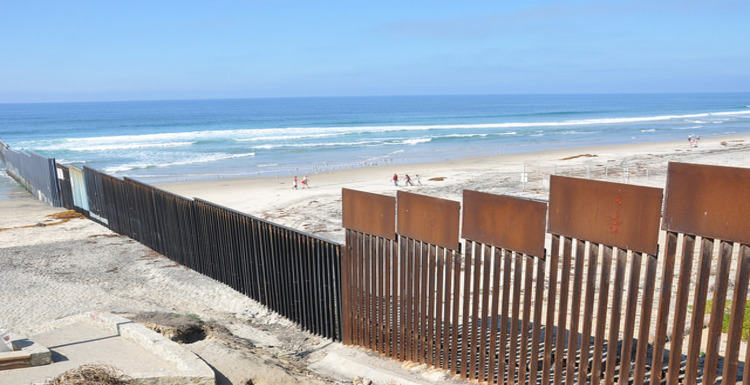 In the post-9/11 U.S. political environment, security concerns have come to dominate conversations about the U.S.’s southern border. [ii] The hidden element in this conversation is racism. (If this were not true then we would hear equally about building a wall along the Canadian border.) Built around unreasoning fear and xenophobia, American immigration policy as presently constructed is causing considerable damage. It harms U.S. interests, for the economy plainly has a need for these workers. No one leaves their homeland in search of unemployment. But more, current U.S. policies are cruel. They bring gratuitous misery and considerable danger to the Mexicans and other Latin Americans who come to work, rejoin family members, and to make a better life. It is a continuing outrage that over 400 people die each year trying to cross this international boundary. Republicans and Democrats should be able to come together to construct a reasoned policy. It is worth recalling that in 2004 Republican President George W. Bush proposed a change to U.S. immigration policy based on the principle of “matching willing workers with willing employers.”[iii] If an individual wishing to immigrate could show that they would have employment in the U.S., and if the employer could show that they had made a good-faith effort to first try to find a U.S. citizen to take the job, then under the Bush plan the immigrant could enter lawfully. This was a reasonable solution. Bush abandoned his proposal when his own party refused to support it in Congress. Now, with a Republican-controlled House and Senate, it will be impossible to pass anything like this. For the moment we can only hope for actions like the current executive order by President Obama, removing the fear of deportation for some of the unauthorized immigrants already in the country. Mexico and the United States have long maintained a two-way “smuggler relationship.”[iv] Mexico has supplied products not readily available in the U.S., from alcohol during the Prohibition Era; marijuana, when the counter-culture turned on in the 1960s; to Andean cocaine, and now Mexican-made meth-amphetamine, and other illegal drugs. The United States has returned the favor, today providing handguns, all manner of ammo, and military grade weapons, all of which are illegal in Mexico. But clearing a path for changes in U.S. gun laws would almost certainly have to come from the high court. With a 5-4 conservative majority, the U.S. Supreme Court in recent years has been the best of friends to the gun lobby, and has made it impossible to enact any laws that would make it harder to sell guns. For the laws to be transformed the court will have to change, and achieving this won’t be easy. Either President Obama, or, after the 2016 election the next president, will probably get to nominate justices to the fill the seats of Ruth Bader Ginsberg, 81 years old; Anthony Kennedy, 81; as well as Antonin Scalia, 78. Replacing either Kennedy or Scalia with a Democratic president’s nominated justice should shift the balance on the court to align it with Democratic Party values. To lift the present high court ban on gun law reform would require the election of a Democratic president who would call for liberal-oriented justices and the return of a Democratic Senate to confirm these candidates. 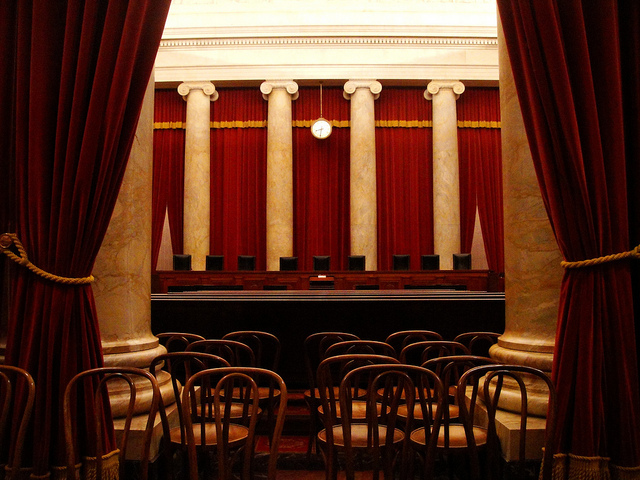 However, even a Democratic-controlled Senate may not be able to confirm the nominees to the court made by a Democratic president. The Senate would additionally have to change its own filibuster rules so that Senate confirmation of a Supreme Court nominee would not require a 60 vote majority. This is now the case with lower level court appointments, but not with the Supreme Court. The Democratic Party might well retake the Senate in 2016, but it is extremely unlikely to win a filibuster proof majority. Without it, or without a change in Senate rules, the Republicans would no doubt continue their practice of blocking all Democratic Party initiatives. But if a liberal majority did command the Supreme Court, it would then be free to return to its longstanding position that the Second Amendment does not, in fact, forbid state and federal gun control laws. The gun laws could change, and the bleeding would begin to slow, both in the United States and in Mexico. With Oregon now joining Colorado and Washington in legalizing marijuana for recreational use, more states are sure to follow. At long last the irrationality of the war on illegal drugs may be coming to a close in the United States. This change would have important implications south of the border as well, and could allow Mexico to deepen its already existing impulse to decriminalize drugs. In Mexico today an array of otherwise illegal drugs–marijuana, hash, peyote, cocaine, LSD, even heroin–may be possessed in small quantities for personal use. But as long as the U.S. remains committed to an all out war on illegal drugs, it will remain politically impossible for Mexico to even begin a conversation about extending drug legalization. In the present environment, the United States could make things economically impossible for Mexico if it threatened to become the new Amsterdam. But if U.S. pressure abated, it would be possible for Mexican to begin to think about what ending its drug prohibition might look like. One thing seems certain. If the trade in drugs were made legal, this would remove the violence that presently accompanies this commercial activity. Legal drug companies, or ones that sell other dangerous or addictive products like alcohol or tobacco, do not routinely murder the people who are employed by their economic rivals. Mexico might be ready at some point to consider substantial steps toward decriminalization, but only if U.S. pressure to continue battering away in the war on illegal drugs were finally removed. Harm reduction theory is usually advanced as an approach for best dealing with the problems associated with the production, sale, and use of illegal drugs. [vii] The harm reduction school holds that we must accept that people will use drugs, and instead redirect our energy toward seeking to minimize the problems that stem from this hard fact. Harm reduction advocates treating drug abuse as a public health concern, not as a criminal matter. 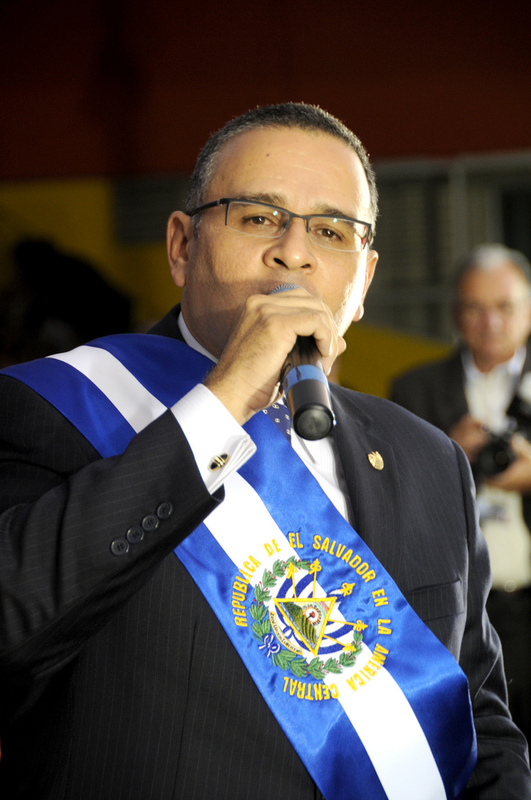 In El Salvador President Mauricio Funes (2009-2014) set up a truce between the two dangerous gangs, the MS-13 and the 18th Street, that were tormenting the nation. The Funes truce led to a dramatic lowering of the nation’s homicide rate. When the new president, Salvador Sánchez Cerén, scrapped the truce, the homicide rate shot back up. 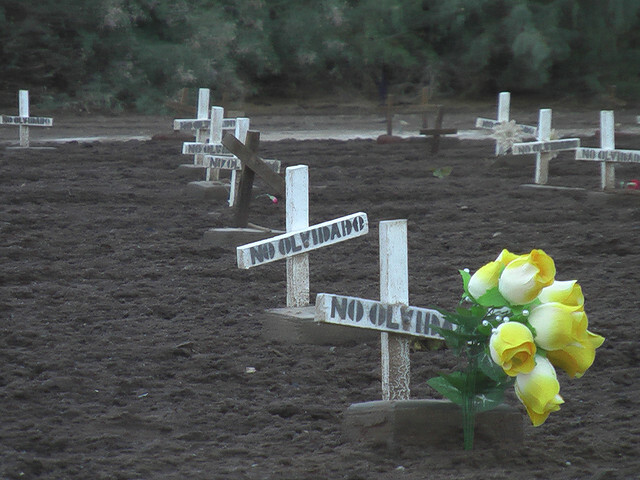 Next year El Salvador’s murder rate may become the highest in the world. It must have been extraordinarily difficult for President Funes to agree to this accommodation with the maras, but the government-led truce managed to save Salvadoran lives. Needless to say, it took great courage for Funes to take this decisive step. It may be time for Mexico to think about the unthinkable: extending harm reduction theory to dealing with the world of illegal drug cartels. Could a truce be arranged, returning to the previous arrangements where the Mexican government turned a blind eye to cartel drug activities in exchange for fewer bodies? This is what the old, pre-2000 PRI dynasty did, when it worked with the cartels in exchange for bribes and a lower homicide rate. Of course, the PRI was quiet about all this, and any return to such an approach would have to be done without public announcement. It would certainly involve preferential treatment by the government towards selected cartels, but would eliminate or reduce the turf battles that result from cartel fragmentation and uncertainty. Given the torrents of blood let loose by the cartels, any of this, maybe all this, is all but unimaginable. It is not possible to forgive what they have done. But if the cartels are not brought inside the legal system, the blood will just keep oozing out, body after body. As with Funes in El Salvador, sometimes making a deal with the devil can be on the side of the angels. The last election, bringing PRI back to power, showed that Mexicans want an end to the carnage. Mexicans want to explore Mexican solutions to their woes. But to do this, to even begin this conversation, the U.S. will need first to get out of the way. By: Ronn Pineo, COHA Senior Research Fellow and Professor and Chair, Department of History, Towson University. Research Contributed by Cameron McKibben, COHA Research Associate. [i] Tony Payan, The Three U.S.-Mexico Border Wars (Westport, CT: Praeger Security International, 2006), 62. [ii] Payan, Three U.S.-Mexico Border Wars, 13. [iii] George W. Bush, “Remarks on Immigration Reform,” (Washington, DC, January 7, 2004). [iv] Peter Andreas, Border Games: Policing the U.S.-Mexico Divide (Ithaca: Cornell University Press, 2009). [v] Ioan Grillo, “Mexico’s Drug Cartels Ramp Up Arsenals with Rockets,” TIME, accessed January 29, 2015, http://world.time.com/2012/10/25/mexicos-drug-lords-ramp-up-their-arsenals-with-rpgs/. [vi] Council on Hemispheric Affairs, Ronn Pineo, “Violence in Mexico and Latin America,” February 21, 2014. [vii] Susan E. Collins, et al., “Current Status, Historical Highlights, and Basic Principles of Harm Reduction,” in Harm Reduction, Second Edition: Pragmatic Strategies for Managing High-Risk Behaviors, edited by G. Alan Marlatt, Mary E. Larimer, and Katie Witkiewitz (New York: Guilford Press, 2012), 6.